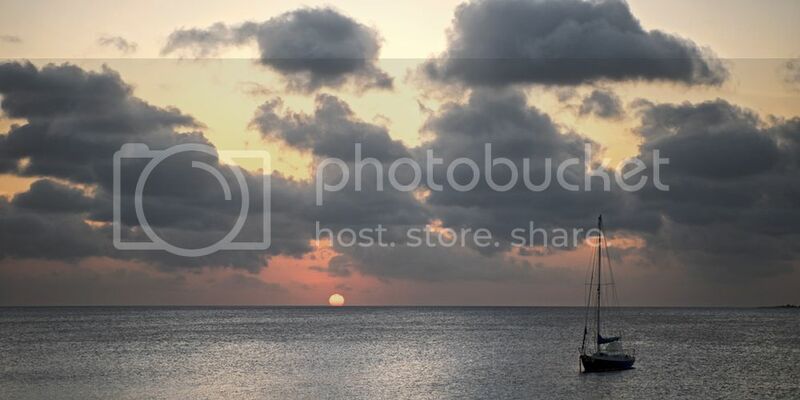 Sailing the Caribbean is the best way to explore its many islands, turquoise seas, cays and reefs. The Windward Islands and the Bahamas are just two of the Caribbean jewels that can be explored by boat. Martinique, St. Vincent, Grenada and St. Lucia are the four main islands in the Windwards which lie at the southern end of the Caribbean chain. These islands not only allow open sailing because they are far apart, but north and south passages through them are easy because they lie across easterly trade winds. Each of the four islands is a separate country and on arrival, the skipper will need to check in with customs and immigration showing the ship's papers, crew list and passports. Once the customs charge is paid in cash the boat can moor. Payments are taken in different currencies on different Caribbean Islands, so this is worth checking before any Caribbean sailing vacations. Grenada, or 'The Spice Isle of the Caribbean' is home to beautiful white beaches, wild plants and flowers and other natural features that attract both land lovers and water sport enthusiasts. Within the capital, St. Georges, there are colonial buildings, old forts, plantations, distilleries and a popular market square. 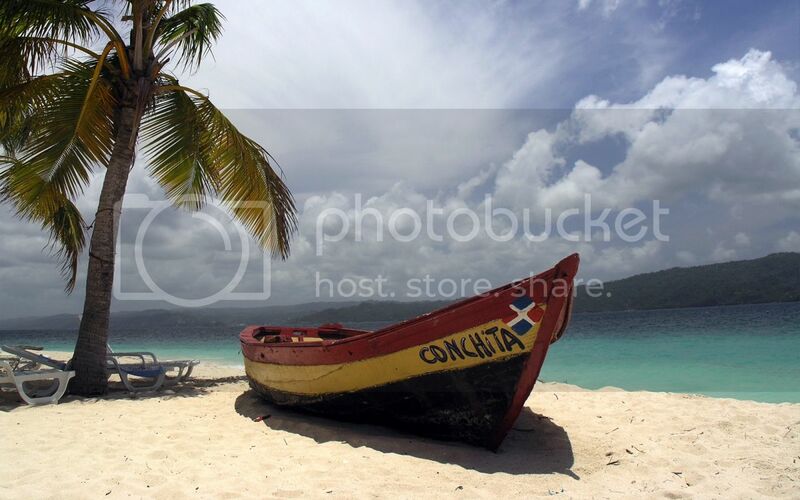 It is easy to reach Tobago Cay National Park, with a short sail from Mayreu. This is a sea turtle sanctuary and a popular place for diving and snorkeling. 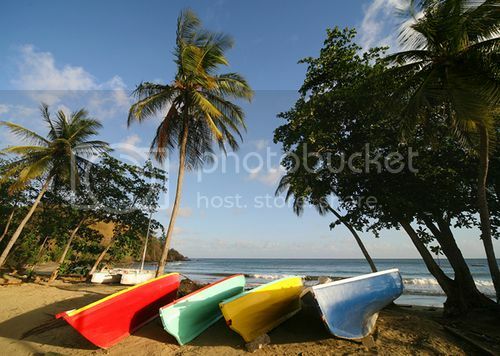 The island of Martinique has a rich French heritage and outstanding natural landscapes. Divers can explore near St. Pierre, where there are many shipwrecks sunk by the 1902 eruption of Mt. Pelee. 'The Jewel of the Windward' or St. Lucia is home to a dormant volcano, Soufriere and the peaks of the island are covered with rainforest in which exotic orchids and other plants are abundant. There are numerous picturesque harbors and hamlets to wander around. 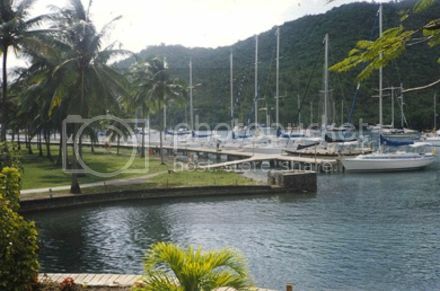 Mooring at St Lucia allows easy access to Marigot Bay, a busy yacht centre and home to restaurants, resorts and boutiques. St. Vincent is to the South of St. Lucia and visitors should try to visit the Montreal Gardens, Botanical Gardens and the second Soufriire volcano on their visit. Another jewel of the Caribbean is the Bahamas, located north of Cuba and east of Florida. Around the many islands and cays there are barrier reefs, ideal for diving. The waters between the islands are often calm, although care should be taken as some of the Bahamas waters are shallow. The Bahamas are home to secluded beaches, picturesque marinas and very friendly people. At nearby Green Turtle Cay there is the Captain Roland Roberts House Environmental Centre, which explores the ecological aspects of the reefs, the Albert Lowe Museum and a range of individual shops and restaurants. The dry season in the Caribbean is from February to June and after this, the wet season will give frequent showers. During the winter months there are strong wind and swells can cause occasional problems with safe anchorage. Throughout the year, Caribbean temperatures remain around 800F, with balmy winds. Ruth Smith writes regularly on the Caribbean and Caribbean sailing vacations for a range of Caribbean travel websites and blogs.